COBB Tuning Turbo Blanket - Pann Auto Performance - San Diego largest aftermarket automotive performance parts - What do you drive? 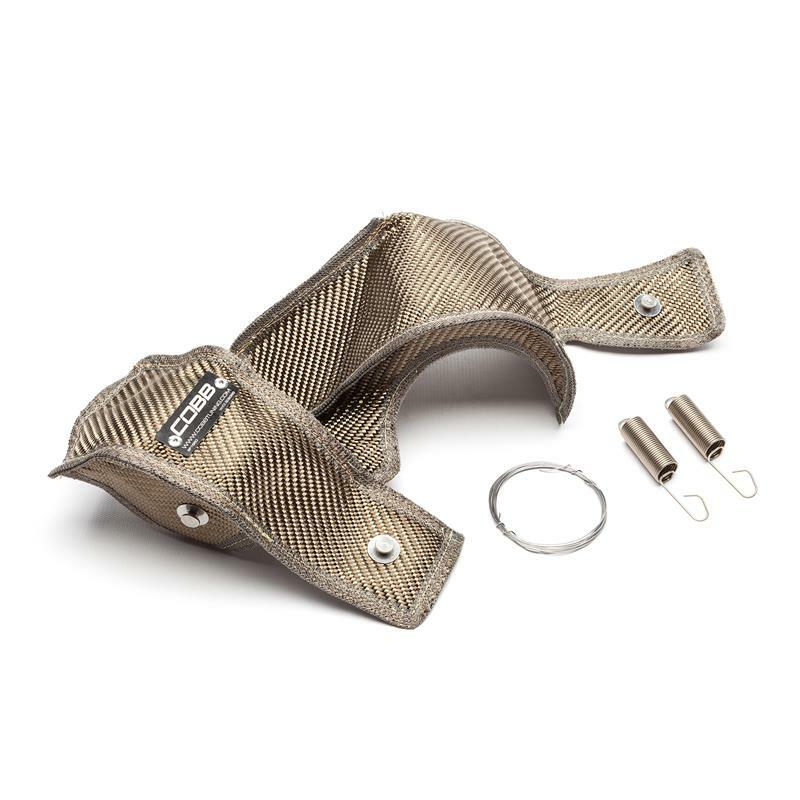 The COBB Turbo Blanket is designed to limit the amount of heat that is transferred from your turbocharger to your engine bay as well as keeping hotter exhaust gases that exit the system faster through decreased density. By limiting the amount of transferred heat, you extend the life of your under hood components, decrease intake temps, and improve the response from your car. Constructed with a fragmentized fire retardant volcanic rock outer layer (Rated 1500°F Direct Heat / 1800°F Radiant Heat) and internally insulated with high temperature calcium magnesium silicate wool (Rated 1800°F Direct Heat / 2300°F Peak Heat). 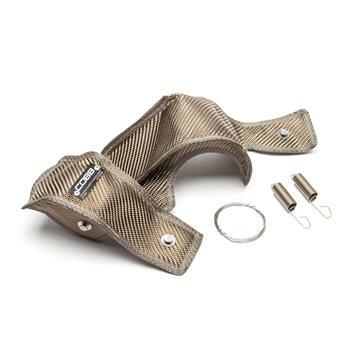 The COBB turbo blanket insulates the turbine housing offering multiple benefits. It prevents the dissipation of useful exhaust energy improving turbo RPM acceleration. This leads to faster turbo spool and getting to peak torque more quickly. It also helps limit heat soak to neighboring parts of the turbocharger.